Rhinoplasty, commonly known as a nose job/ nose surgery, is a plastic surgery procedure for correcting and reconstructing the nose form and aesthetically reshaping or resizing the nose. It can correct a variety of concerns, including a visible bump on the nasal bridge, a droopy or bulbous nasal tip, a nose that’s off-center or deviated. 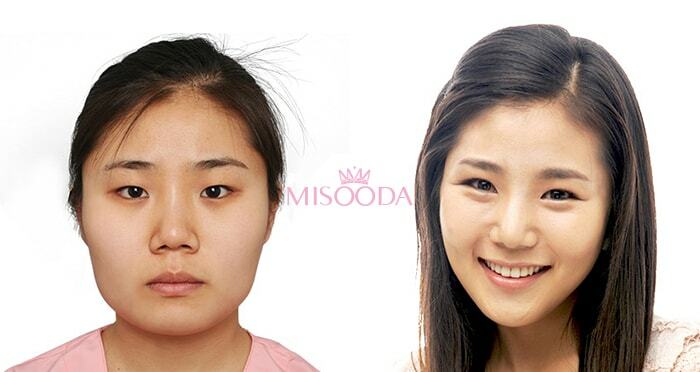 However, the idea of nose surgery 2(Rhinoplasty) in Korea also called as an Asian Rhinoplasty, is designed to give a “Western” appearing nose by enhancing and reshaping the nasal bridge and tip. The nose is the most prominent feature on the face. Therefore, it is one of the most important facial features that determine the overall impression of one’s look. A tall and high nose alone cannot be the standard of a beautiful nose. Natural-looking nose which harmonizes with the overall facial proportion is as important as making a high nose. The perfect ratio of a beautiful nose is the consideration of the nose length, nasofrontal angle (between forehead and nose bridge) and nasolabial angle (between nose and upper lip). The ideal nose length takes up about one third of the face. The ideal angle of nasofrontal is about 135~140 degree which matches along the nasolabial angle, 90~100 degrees. The nose shape preference has changed over generations. Back then people only preferred a straight and high nose but now there are straight, curvy or straight-curvy nose shapes that people can choose from. The nose shape also needs to be decided after considering patients ideal nose and the overall facial harmony. 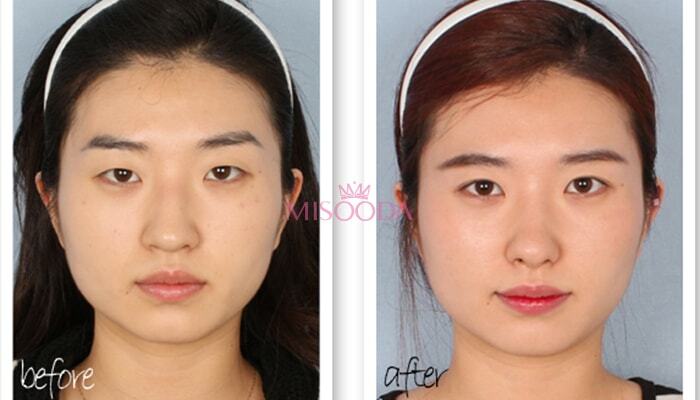 Who are the candidates for nose surgery/rhinoplasty? Silicone: Silicone implant is the most common and longest used type of implant for rhinoplasty. It does not absorb nor does it change in shape even after a long lapse of time. In addition, it is easy to mould silicone into various shapes, considering the patient’s facial characteristics. If the patient’s skin is too thin, the implant may be seen through the skin. Proper implants should Silicone: Silicone implant is the most common and longest used type of implant for rhinoplasty. It does not absorb nor does it change in shape even after a long lapse of time. In addition, it is easy to mould silicone into various shapes, considering the patient’s facial characteristics. If the patient’s skin is too thin, the implant may be seen through the skin. Proper implants should be used considering the patient’s skin thickness and conditions.be used considering the patient’s skin thickness and conditions. Gore-Tex: Gore-Tex, widely applied to vascular surgery, has been proven to be safe. As Gore-Tex is softer than Silicone implant, it can be used for those who have thinner skin. In addition, it looks very natural after an operation. Gore-Tex easily assimilates into the tissues and develops few complications such as foreign body reactions due to its microscopic holes. Because of its soft texture, it is difficult to sculpt it into a desired shape or to insert it into the proper location. Silitex: Silitex is an implant consisting of silicone on the front and thin Gore-Tex on the rear. It has the advantages of both silicone and Gore-Tex. Since bearing capacity is high, there is no risk of lowering the height of the nose bridge. So, the height Alloderm: Human dermis is processed to prevent rejection reactions. If the patient has extremely thin skin, Alloderm may be added to the top of an implant to reduce the see-through phenomenon. It is thin and partially absorbable. Alloderm is expensive so it’s not appropriate to use in a simple rhinoplasty context. and shape of nose bridge stays well. It is normally difficult to remove when doing revision surgery. Alloderm: Human dermis is processed to prevent rejection reactions. If the patient has extremely thin skin, Alloderm may be added to the top of an implant to reduce the see-through phenomenon. It is thin and partially absorbable. Alloderm is expensive so it’s not appropriate to use in a simple rhinoplasty context. 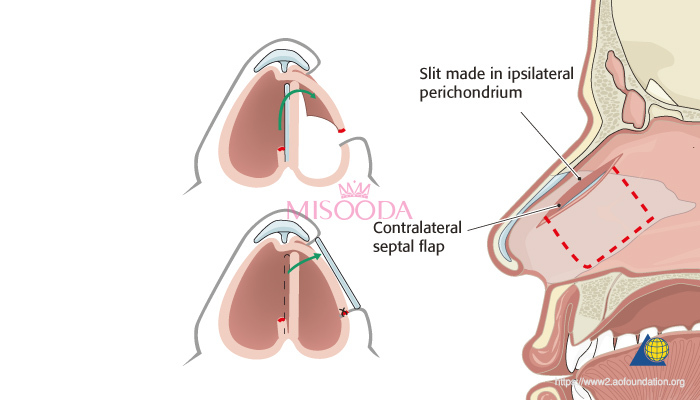 Medpor: Medpor is a replacement or additional material for Septal cartilage when the nose tip is augmented. This material has more possibility of infection so it is not suitable for everyone. One disadvantage is that it is difficult to remove if a revision surgery has to be done because it sticks to the tissues. 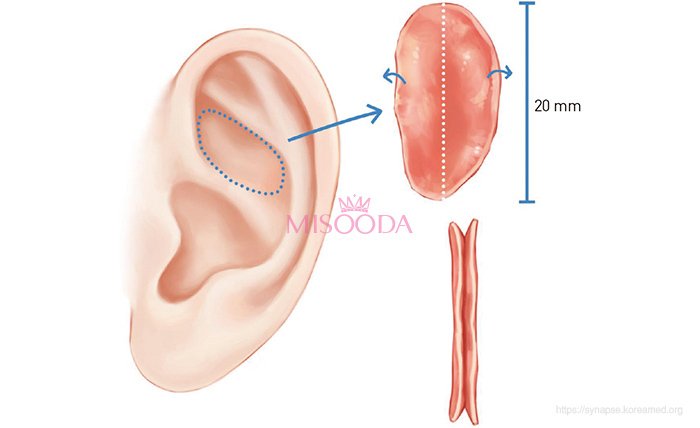 Ear Cartilage: They are generally used for nose tip augmentation. It doesn’t break easily and can make multiple layers with it. The cartilage is curved so making a natural-looking nose tip at any angle is possible however, since it is curved, one limitation is that there is only one point that holds the tip down firmly. 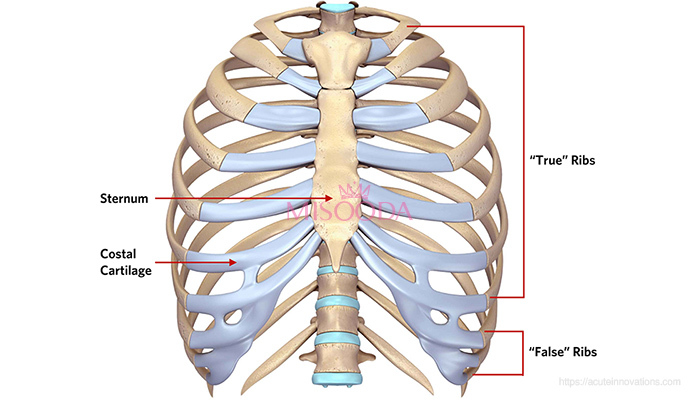 Septal Cartilage: It does not leave any scars or have any functional or structural problem after harvesting the septal cartilage. It is possible to correct a deviated nasal septum through rhinoplasty and also nasal stuffiness may improve. The nose tip is normally hard and doesn’t go upwards when pushed up (also known as the piggy nose move). Also, there is a limit on the amount of septal cartilage being harvested. Rip Cartilage: There are abundant rib cartilages to be harvested. It is possible to produce a variety of shapes and lines. It can create a well-defined looking nose. Scars are visible at the rib cartilage harvested area (from 1-4 cm). You can feel that the nose is hard and may cause distortion after collection. Fascia, Autologous dermis: Autologous dermis can be used when skin of nose bridge is damaged or very thin due to repetitive surgeries. Autologous dermis is collected from the buttock or groin or fascia from the scalp. It can be inserted on its own or inserted together wrapping the implant for nasal bridge augmentation in extremely thin skin cases. Since these are not foreign substances, they are safe and create a natural-looking nose. The fascia may be absorbed over time and the harvested site leaves a small scarring. Surgery is a little complicated with long operation time.